MICHAEL A. VENTRELLA: I’m pleased to be interviewing author Shane Lindemoen today. Shane is a newer science fiction writer from Minnesota. He started with short literary fiction, earning honorable mention in the 2005 Lorian Hemingway competition with his story “Mount Airy,” and a Glimmer Train nod in 2011 for “Lucretius.” His debut novel ARTIFACT (Boxfire Press, 2013) won the National Independent Publisher Award (Gold, 2014). Shane has had a varied professional life, working as a private investigator, a shoe salesman, and as an Editor of National Affairs for the ezine Secret Laboratory (Maple Hills Press, 2011). 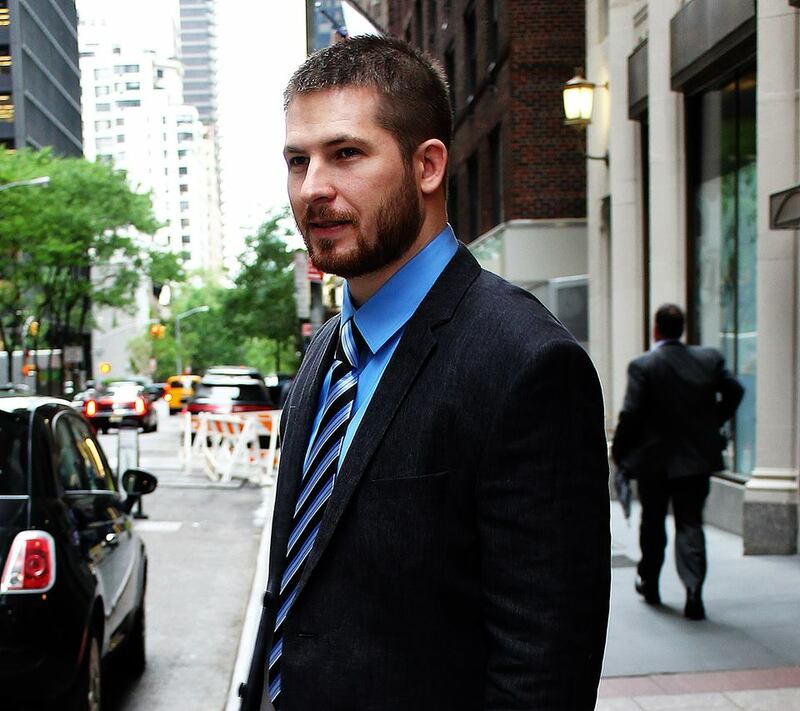 He’s also an inactive, licensed Peace Officer for the state of Minnesota, and very nearly finished with his MA in Behavioral Systems Analytics. You can typically find Shane at http://www.shanelindemoen.org trying his darndest to transform his thoughts into tradeable monies. Shane, what is your writing process? Do you outline heavily or just jump right in, for instance? SHANE LINDEMOEN: My process is an unmitigated, undifferentiated mess. My workstation is enclosed by a mountain of reference books that I call upon at any given time; my browser has thirty bookmarks open at once, always Wikipedia, always a thesaurus, always Google. My writing has this tendency to take on the language and feel of whoever I’m reading at the moment. Which is beneficial in some ways, but harmful in others: there are many books I can’t read while in the midst of writing something. I once spent two weeks obsessively reading every single Chuck Palahniuk book in existence, and when I sat down to write it was the most horrendous block of text every typed into a word processor. I have learned to use this weird dynamic to my benefit: if a scene calls for suspense, for example, I’ll use time reading John Little, Stephen King, Joe Hill, Ronald Malfi, or John Everson, which puts me in the right mindset to write suspense. If I have an action scene, I’ll read Matthew Woodring Stover. If it’s time to paint exposition or do some world-building, I’ll read Dan Simmons, Larry Niven, Ian M. Banks, Tolkien. Alex Garland, Amy Hempel, or Cormac McCarthy if I want to say something profound and thoughtful. There’s a whole pantheon of heroes I invoke at any given time when I write. This is why I hesitate reading stuff by new authors, especially when I’m in the throes of writing a new yarn, because if I read something that’s written poorly, I’ll begin to write poorly. As for the outline. I take that pretty seriously. Before I even drop ink on a draft, I’ll spend time drawing out on paper the various plot threads and where they intersect on the broader timeline. I’ll mark the beginning, the big events, and the end – and while I may not know exactly how things will unfold between those events, I try to make something happen every 1500 words to raise the stakes, create more peril, reveal small amounts of plot, and move things forward. I don’t spend much time on characterization, because I feel the characters flesh themselves out through interacting with each other and responding to things I throw at them. Some say it’s beneficial to have personality types in place before hand, but I get the feel of a character as I go. I simply tag them with something that readers will identify – I give them an image to anchor a voice to, and I try remaining consistent to the way each character responds to things. LINDEMOEN: I subscribe to the belief that we’re all red-blooded, anatomically-lateral humans capable of accomplishing the same things. Our species hasn’t drifted too far from itself in something like 200,000 years, and yes, there are dimensions of difference specific to us, and yes, many do have certain predeterminations, but excluding functionally demonstrable certainties (disability, mental illness) there is nothing one human can do that another can’t. Writing is a skill – it can be learned, it can be honed, and it can be perfected like any other. LINDEMOEN: I think it means to either stick to your expertise, or write what you’ve experienced. I think they say this because the yield is more authentic that way. How I’ve interpreted this is simply to know what I’m talking about in terms of research. If I’m writing a space adventure, for example, I’m going to want to know actual spacecraft design and engineering. I’ll learn about antimatter and ion propulsion and how to theoretically create artificial gravity. The goal is to sell the idea of authenticity, and swindle my readers into thinking that I know what I’m talking about. Nothing kicks readers out of perceived immersion more than illogical crap that doesn’t make sense on real terms. LINDEMOEN: Reading science fiction is more work. I think it’s a genre that requires its readers to be active observers and engage with the theoretical aspects of it. In other words, reading fantasy is like a ride; reading science fiction is like a homework assignment. A lot of science in science fiction is actually, functionally possible, which appeals more to the scientific-thinking person – someone who expects a certain amount of reality in what they’re reading. A reader of fantasy doesn’t feel compelled to analyze and measure things against functionally demonstrable laws of nature, because the expectation is that everything – from the nature of the characters, to the nature of the universe itself – is fair game and intended to be taken at face value, no matter how fantastic or absurd. This might sound like I’m making fun of fantasy or something, but that’s not my intention. Fantasy is just a different delivery system of narrative and truth, which I think appeals more to the largest bell of the readership curve. Readers won’t suddenly debate internally about the natural selection of dragons and griffens and trolls, because it isn’t possible in real terms. Readers can accept each thing for what it is and enjoy the ride as passive observers. An interstellar warp drive is possible. Suspended animation is possible. Colonizing other planets is possible. And because of this realness of things, readers of science fiction come into a story with certain expectations. VENTRELLA: Tell us about ARTIFACT! 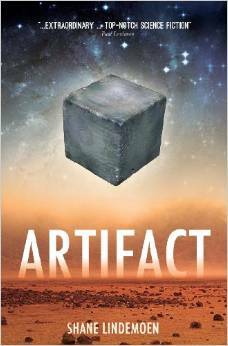 LINDEMOEN: ARTIFACT is my debut novel, which recently won the 2014 Independent Publishers Book Award for best science fiction. It’s about an ancient alien machine recovered from beneath the surface of Mars by interplanetary miners. When scientists bring it to Earth for study, a physicist activates something inside of it that causes him to inexplicably teleport back and forth between different points in the same timeline. As the separate moments begin to focus on some sort of singularity, the physicist must use what little time he’s given in each place to piece together exactly what happened the moment he invoked the artifact, before it rips reality apart. I’ve been comparing it to equal parts Matrix, Inception, Dark City, Stargate, and Night of the Living dead. I’m not going to lie… it’s pretty out there. The last evidence of the Endeavor spacecraft became immortalized in a single image captured by the Pinnacle telescope: A teardrop silhouette falling into the shadow of Saturn’s largest moon, moments before losing contact with Earth. The mission and its crew vanished, never to be heard of again. It was considered the last great human push into the fringes of deep space. Years of silence, speculation, and uncertainty intervened – an uncertainty that stifled any hopes of interstellar travel – and without warning, the IDSI administration received a signal from an outpost in deep space matching the Endeavor’s distress beacon. Commander Susan Fenroe of the International Deep Space Initiative – a veteran astronaut assigned to her last six-month rotation aboard the science station and galactic telescope, Pinnacle – is beseeched by Command to select a crew of eight, and once again tempt the final darkness. Her mission: travel to the source of the distress beacon, and ascertain the fate of her long lost contemporaries. And when her ship comes in violent contact with something close to where her predecessors disappeared, Fenroe and her crew quickly learn that they must surrender faith to each other and their training if they hope to make it back alive. Because what they find in that distant outpost of human curiosity and ambition is a force of nature that could bring about the end of all things. A dark fantasy mixed with equal parts survival-horror and hardline science fiction, VAGABOND is one woman’s odyssey into the last of all unknowns. A poignant contemplation of being lost, of shapes moving in the dark, and of the light that keeps them there. LINDEMOEN: I think it’s great. I think it fills an important void in the market. But there’s almost no way other than word-of-mouth for the consumer to sift through the innumerable quantities of crap out there. Many serious self-published authors have the odds stacked against them, because they must somehow find a way to set themselves apart, and there’s really no validation of quality at the onset other than the author’s word. But like in anything, good stuff will always claw itself out of the lesser muck. I know of at least two people who’ve made livable money going the self-pub route after they couldn’t land any traditional contracts. 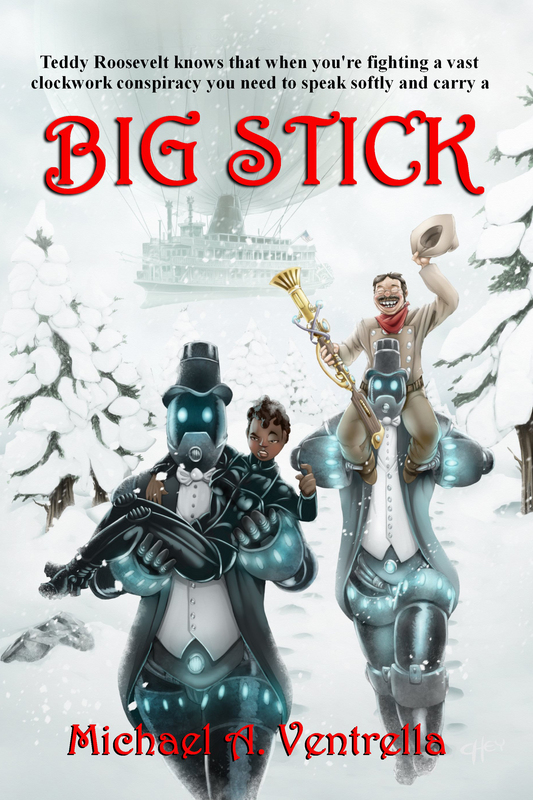 One author – Adam Nicolai – decided to publish one of his fantasy yarns (CHILDREN OF A BROKEN SKY) exclusively on his own, because he had faith in its success and wanted a larger cut of the profits. Of course, almost every self-pubbed author claims that self-pubbing is a choice, but in his case I actually believe it – Adam is an excellent writer, and his novels are good enough that it’s conceivable publishers would consider picking them up. And then there’s Andy Weir, author of the phenomenally amazing science fiction novel THE MARTIAN, who’s probably going to win the Hugo and the Nebula next year. He couldn’t sell TM at first, and decided to self-publish it. When it sold a couple thousand copies on Kindle, it was quickly picked up by Crown, and hit the New York Times Bestseller list shortly after that. So, yeah – self-pubbing is a good platform for the fierce amateur, but it’s also a thankless, unglorified, disrespected, cut-throat place in which only the serious, learned, passionate, and skilled authors will survive. LINDEMOEN: I didn’t have an agent when I made my first professional sale. But I can tell you theoretically what the process should look like. I know that you’re to solicit agencies first, before you try finding a publisher. And if none bite, you have five options. You can 1.) spend the next year refining and perfecting your manuscript, and approach agencies again with a better product, or 2. ), start immediately contacting publishers directly. The reason you hit up agencies first is because they won’t normally take you if you’ve been rejected by every single publisher in existence. And most advance-paying publishers don’t accept unsolicited, albeit unagented manuscripts. But say you’ve been rejected by agencies a couple of times, and your manuscript has been refined to the extent that neither you nor your cohorts can find a single reason why it hasn’t been picked up. Well, you really have nothing to lose by pawing the mail slots of various publishing houses. Your manuscript is dead – might as well flame out on the off chance it gets picked up. And if it doesn’t, option 3.) Self-publish. Option 4.) Toss your manuscript in the garbage and start a new one. Option 5.) Enroll in creative writing classes and learn how to write better. Thanks for inviting to your site! If anyone needs me, I can usually be found in two places: http://www.shanelindemoen.org, or http://www.facebook.com/shanelindem. Thanks again!